I previously highlighted a talk by Sir Ken Robison, the TED speaker with the most views of his video to date. He gave a talk at an Apple event in which he used a single slide at the end of his talk to great effect. Here is another example of this effective minimalism. I've not been a fan of Microsoft PowerPoint, but the latest editions are adding more features that will make designing and preparing presentations easier. The newest tool explained in this video by Heather Ackmann looks powerful. It effectively allows you to take any old slidedeck and redesign with a click. Joe Gebbia, the co-founder of Airbnb, bet his whole company on the belief that people can trust each other enough to stay in one another's homes. How did he overcome the stranger-danger bias? Through good design. These 4 tips can help improve your presentations, too! Microsoft just announced a new version of PowerPoint for Office 365 that has two amazing new features to help you design presentations like a pro. In the past few weeks, we have seen 3 keynote presentations from the 3 most prominent technology companies: Apple, Microsoft, and Google. Each of them introduced some great new software and technology. While I am an Apple fan through and through, this is not a post about which products are better. Microsoft's Surface appears to be a great addition to the tablet market, and Google announced some pretty awesome stuff including Google Events, the Nexus 7 tablet, and the Nexus Q media device. This post, however, is about how the companies presented their new products. Apple have always had slides that complement and support their presentation, rather than guide or direct it. They've stuck with the traditional dark gradient slide background, large product images isolated on the background, and limited text. Microsoft were historically some of the worst offenders in presentations, with cluttered slides and nearly indecipherable charts. They've certainly improved by limiting themselves to one big idea per slide and using high quality graphics. Google haven't been in the game as long, but they're better than most companies. They even tried to up the game by using a super wide screen format with multiple projectors across the stage. While this was a novel idea and allowed for simultaneous views of multiple devices, I can't say that it was completely effective, with a few of the presenters getting lost as to where their slides were showing. But Google had some great slides. I was especially impressed with the slide that introduced Google Events by showing a mosaic of images. In the early years, Steve Jobs succesfully gave MacWorld and WWDC keynotes all by himself. More recently, he has shared the stage with Senior Vice Presidents and 3rd party developers to add more contrast to the presentations. Tim Cook, Scott Forstall, Phil Schiller and others led this year's WWDC Keynote and shared the stage with other project managers. 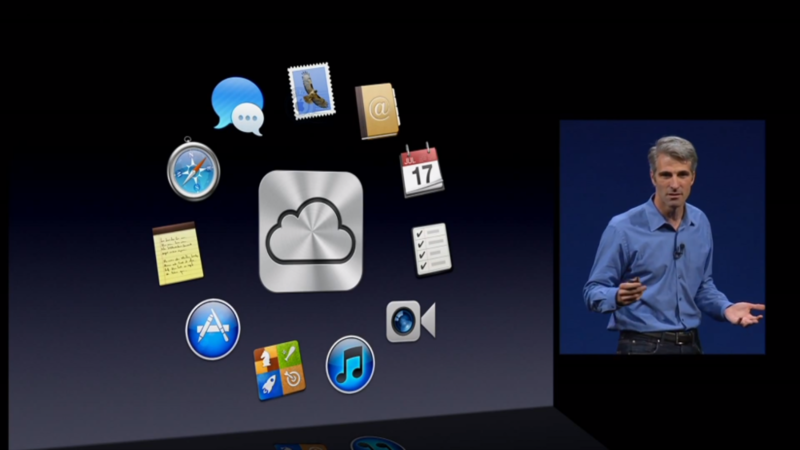 One of my favorites is Craig Federighi, VP of Software Engineering, who showed some of the new features in OS X Mountain Lion. He has a very calm presence on stage, has great timing and knows when to pause for applause, and doesn't try to oversell the products. Just as natural and pleasing to listen to was Google's Vic Gundotra who led their keynote. He gains the audience's trust with a very unassuming personality and helps them feel comfortable by using natural timing and inflection. While all three of these tech giants gave high quality presentations, I can't help but opine that Apple have still set the bar yet to be reached by the others, even if they've fallen just inches short. One of Apple's strength's is the precise sequencing of events throughout the presentation, particularly the transition from slides to demo or video and back. As soon as Tim introduced a highlight reel, the stage lights dimmed, the projector faded from the slides to video, and not a second was lost. When guest presenters were invited on stage, Tim (or one of the VPs) shook their hand and stepped off, allowing them to give their short – and visibly well rehearsed – demo. In the GoogleIO Keynote, Vic Gundotra verbally told his A/V crew when to switch to demo and when to move back to slides and frequently waited a number of seconds until the technology caught up. During the Microsoft Surface introduction, one of the demo units stopped working just as Steven Sinofsky was transitioning to the new and exciting topic of movies and entertainment. (See it at 14:07 in the video below). Poor Steven… he fumbled for a moment, tried to get it to work, then embarrassingly ran to grab another tablet. To make it only more obvious, he repeated the last scripted phrase before continuing on with the working device. Now there's nothing wrong with glitches – they happen all the time. But when something goes wrong, you've got to keep your composure! The first step is physically preparing for an error. Microsoft did this well and Sinofsky knew right where the backup device was on stage. The second step, however, is mentally preparing for things not going as planned and this is where Microsoft really let their presenter down. These things need to be rehearsed over and over until the speaker is comfortable on stage even when the presentation gets interrupted. Of course, sometimes presenting on the stage isn't enough. In the middle of Vic Gundotra's keynote, another Google employee interrupted him on stage to share an update on a project called Google Glass in a very unique way. This will certainly be a memorable moment in big tech keynotes. Whether it will prove to be an effective way to introduce a new product will take time to tell, but for those of us watching live… it was awesome! Which presentation was better and how could they each be improved?